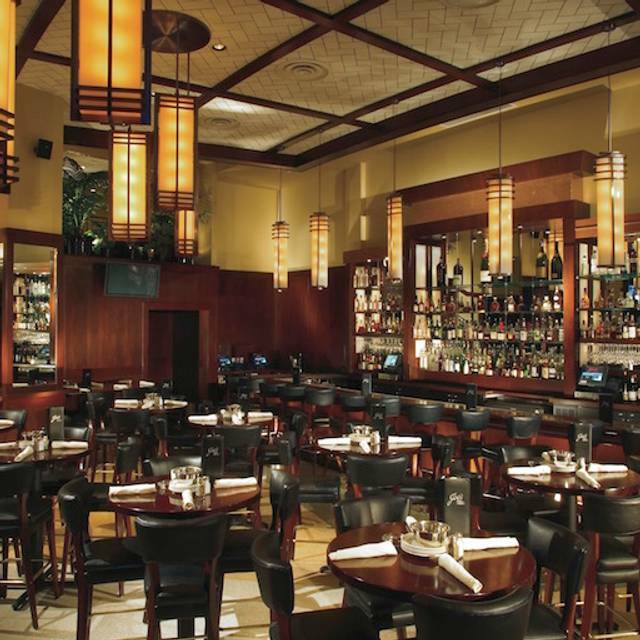 You must make reservations at least 5 minutes in advance of the time at Joe's Seafood, Prime Steak & Stone Crab - Las Vegas. Valet service available in front of the restaurant and self parking is available behind the restaurant. 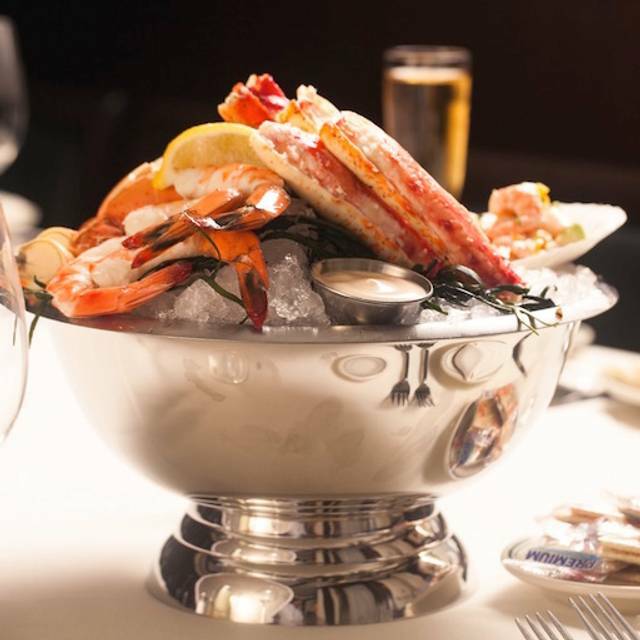 Joe's Seafood, Prime Steak & Stone Crab is the culmination of a partnership between Lettuce Entertain You and Joe's Stone Crab, the legendary seafood restaurant of Miami Beach. 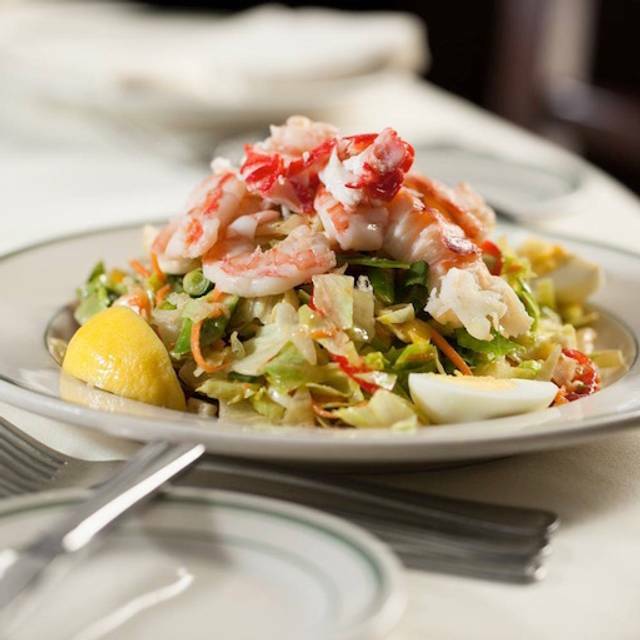 Joe's features an extensive selection of seafood, flown in fresh daily, to complement the world's finest Florida Stone Crab claws. Joe's also features signature prime steaks, hand-carved by master butchers such as the 24 oz. Bone-In Rib Eye, or Bone-in Filet Mignon. 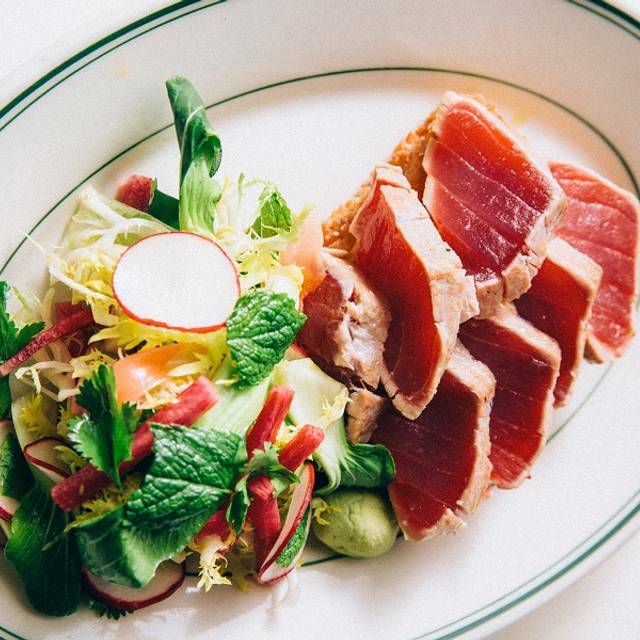 Matched with Joe's famous side dishes, dinner only gets better when capped with a slice of key lime pie. Enjoy a cocktail in the bustling lounge or the tuxedo-clad service of the clubby dining room. Anniversary dinner and it was great! This was our second time to Joe’s and it easily backed up the first. Wife and I have decided it’s going on the must-go-to-list for any future trips our favorite desert oasis! Do yourself a favor and give em a try. We had an amazing time! The food was excellent and service was impeccable. Will definitely return! My sister, mom and I have made dining at Joe’s our Vegas tradition. The food is excellent, and service has been incredible. We especially like Neil, who shares Maryland roots with us. Such delicious/fresh food. The atmosphere isn’t stuffy or pretentious. The whole family loved our meal from complimentary bread to dessert. Joe's is always great, food and service. BEST Chilean Sea Bass I've ever had! Halibut steak was the best ever and the oysters and clams and martinis all wonderful. Best crab I have ever had. Unanimous by the entire group. Expensive for what you get. 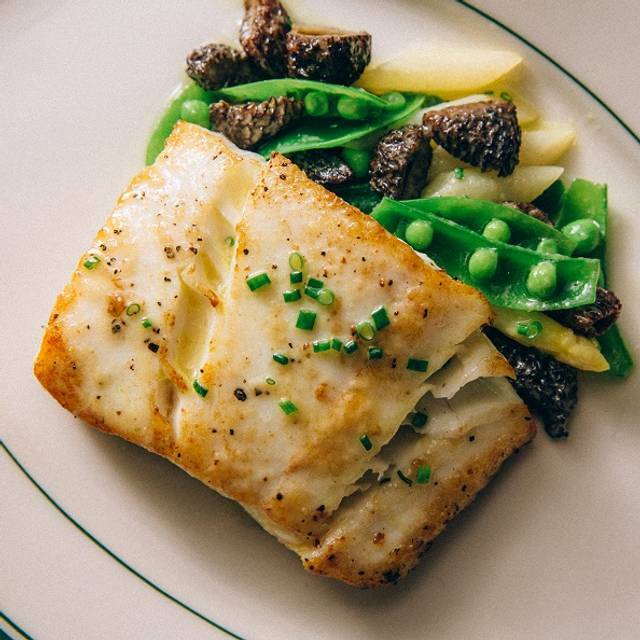 Over the years Joe's prices keep going up, the portions get smaller and the service goes down. This time one of the servers filled my water glass although it was already full, she poured water into my husband's Sprite. We had to ask for wet towels for my $70 ++ cold king crab legs and they brought me a container full of drawn butter but I had asked for cold crab w/your mustard dip on the side. My husband asked for double tartar sauce for his shrimp and no ketchup. They brought ketchup and no tartar. Wonderful food and spectacular service. Linda, our server, was great. Fun, friendly and helpful. All food was delicious. Joe's is great, this does a good impression of the original in Miami. Food and service were the same. It would have been quiet except for the family that though bringing 4 kids under ten was a good idea. we didn't get too bothered because figured the bill for the ankle biters would be punishment enough for the idiot father. The only thing, wrong, and this was my fault, was I ate too much. I KNEW I had to have the key lime pie, if you go there and don't get the pie you need to question your sanity. I ate a whole piece. It took me a couple of hours before my pants felt right again. Best steak I ever had! They bring their steak seasoning table side, so you can enhance your steak's flavor to your liking. The steak alone is worth the trip! It was delicious. Definitely coming back. Service was amazing! 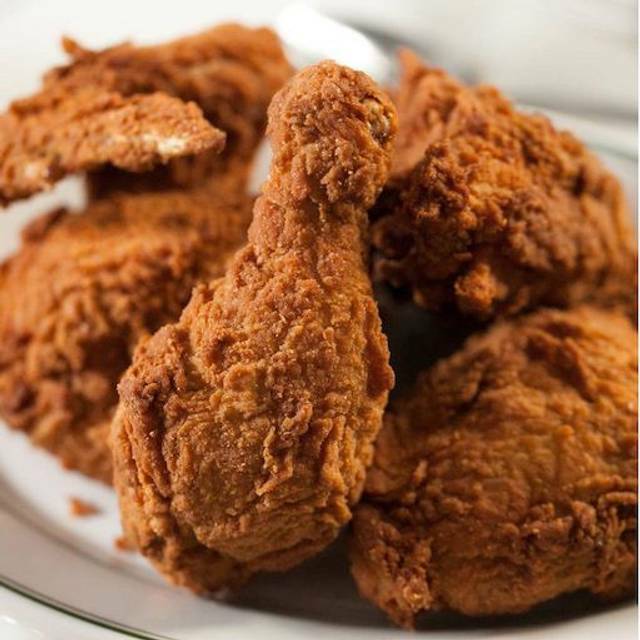 Joe’s is our family favorite. Something for everyone. Love the steaks, has brown, key lime pie as well as the stone crabs. Always satisfied here. Food was really good but not great. Service was excellent. Biggest problem was being packed in like sardines. It was hard to even scoot a chair back from the table without bumping someone at the table behind you. I understand it’s prime real estate on the Vegas strip, but like airliners, it would be nice to have just a little more room! Excellent food and service. Would go there again. - complimentary bread basket was a variety of amazingly delicious breads including an everything lavosh, cornbread muffin, soft pretzel bun, dinner roll and rye slices. If we weren’t flying out the next day I would have paid for another basket to-go. Sooooo good. 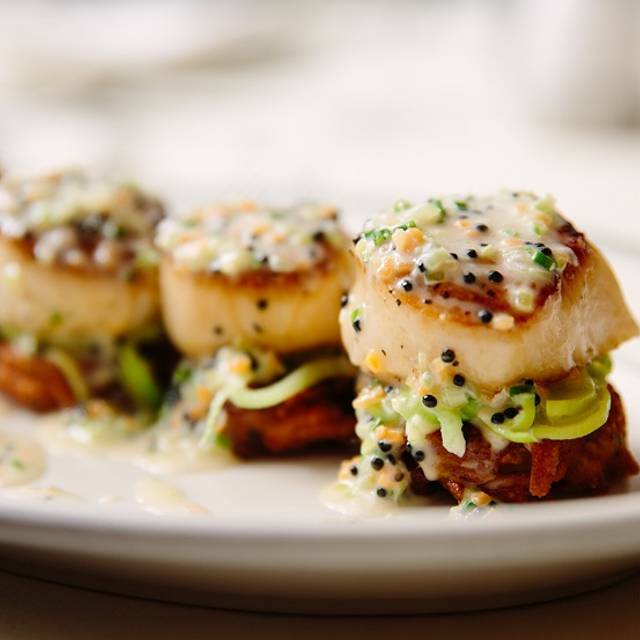 Verdict: added to our list of “always eat when in Vegas”. My husband wants to eat here as our last dinner whenever we’re in town. I have no arguments with that. Highly recommended. Our waiter was OUTSTANDING. Our dinner itself was amazing. Together, it's hard to beat. We never had lunch at Joe's before. Always had been for dinner. Crowded, noisy and food was cold Patio seating only at lunch. Wait staff and host were very nice though. Great service-lovely inviting atmosphere and wonderful food! Joe’s is my number one fav in Vegas. This trip was just as amazing as always, but our waiter Patrick made it even more enjoyable. The food is top notch and the service is above and beyond. If I never try any other restaurant in Vegas I will be happy. Very rushed, we were a party of 5 and had just been served our appetizers when our entrees came out immediately after. We had to move everything around so that we could fit two sets of plates in front of us to dine. Food was delicious! Service was amazing. We had a reservation and were seated quickly. Our group of 6 all had different items from the menu and everyone thought their dinner was super taaty. Outstanding Food and service. A little pricey but worth it. Awesome table on the patio. Service was outstanding and food was delicious. Reasonably priced for Vegas. Highly recommend for a nice lunch. Another outstanding meal at Joe’s. The service was great, the food is always flawless. The maitre d went out of his way to help us when two grandchildren joined us at the last minute that expanded our reservation for two to four. These two teenage girls appreciated all the different foods we ordered, many things were new to them. But what’s not to love about stone crab claws and mustard sauce! It was fun to watch them react positively to the new things. We love Joe’s! The Dover Sole was great, and here again....although it’s not on the lunch menu, our waiter instantly said she get that for me. Lastly the desert was Banana foster pie which is just the best pie anywhere. Go to Joe’s. You’ll love it! Love this place! We do miss a dinner here anytime we are in Vegas! Outstanding service and food. Frequent this restaurant and am never disappointed. Highly recommend the private dinning rooms as the main dinning area was very very loud. 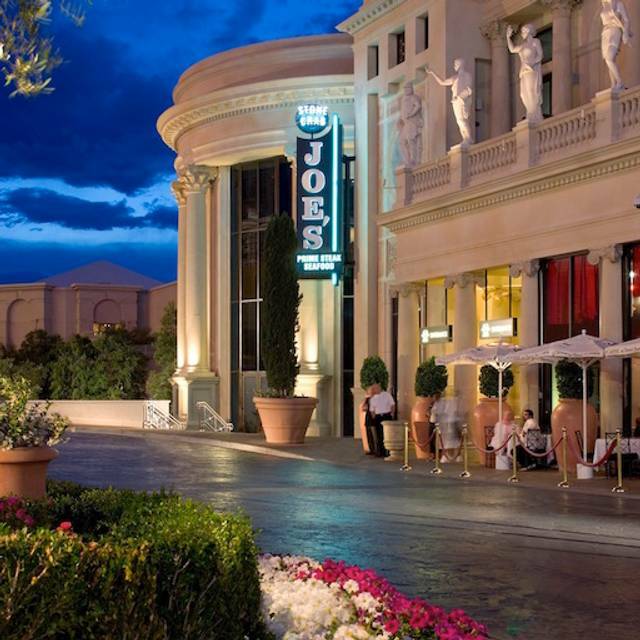 I'v eaten at Joe's many times, and it is my favorite place to eat in all of LV. 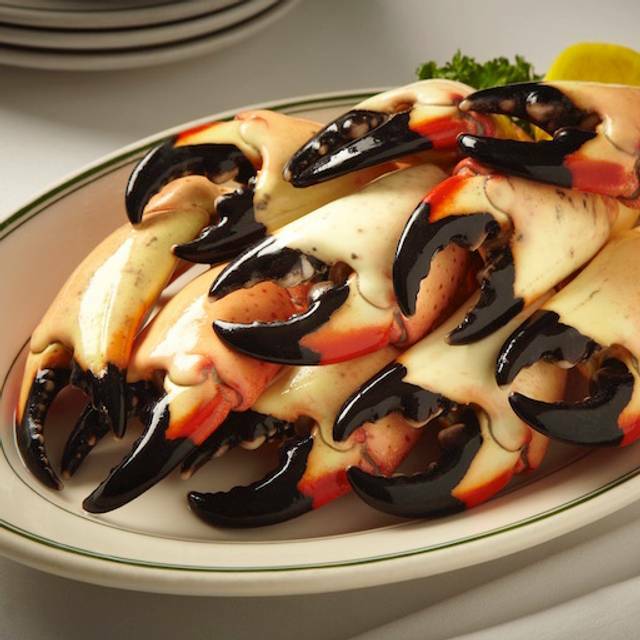 While noted worldwide for it's Stone Crab, I think it also has some of the finest steaks in the world. Joe's Tomatoes, Hash Browns, and Key Lime Pie are also terrific. Excellent seafood dish and great service. Highly recommend it. The food was delicious and prepared perfectly! Very good service.